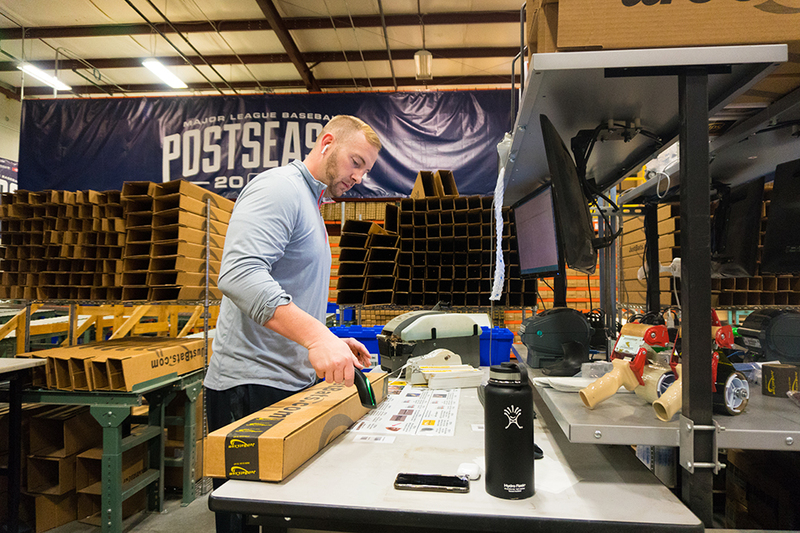 It’s a Beaut, Clark: Pro Athlete's Holiday Season Unwrapped | Pro Athlete, Inc.
With the Holiday season in full swing (pardon the lame baseball pun), we want to give you a glimpse into how we celebrate this time of year. Between Black Friday and Christmas are some of the busiest days we have each year. With the increase in holiday shoppers to our sites comes the need for additional staff to fulfill those orders. So, for the past three years, we have built a process that requires every single employee, including the CEO, to complete two shifts in our fulfillment center. This has a couple of benefits: 1) We don’t have to hire a bunch of seasonal workers for only a few weeks and 2) Our employees get to go back to where this whole thing starts. It’s all about helping to ensure that bat or glove under the Christmas tree in time for that boy or girl to open it on Christmas morning. Knowing that each bat or glove you box up could end up as a gift this time of year is an awesome feeling. We can all remember what it felt like to open that perfect present on Christmas (not including a pink bunny costume), and that motivates our team to help deliver that same memory to kids across the country. Additionally, it’s pretty typical for offices to decorate for the holidays, and we are no different. Right after Thanksgiving, our Hospitality Team puts up three baseball-themed Christmas trees around the building. That, coupled with a few other things here and there has pretty much been what we have done. This year, however, we decided to up our game. With the help of our Christmas light consultant Clark W. Griswold, we added what can only be described as “a lot” of lights to the exterior of our building. Only four airplanes have mistaken us for runway lights since we installed them. 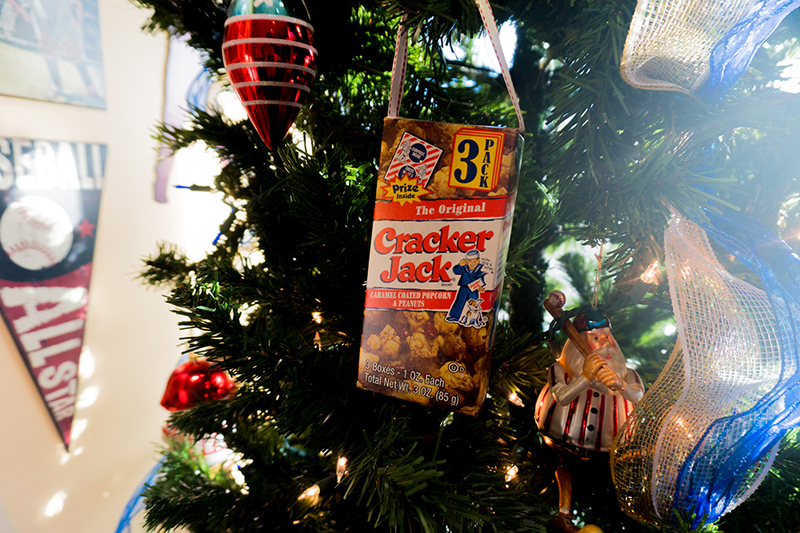 Like many, we like to celebrate the Holidays with those close to us. Each year we have a Holiday party at different locations throughout the city. We have been fortunate to partner with some great venues the past couple of years. This year, we have partnered with Stockyards Brewing Co. in the West Bottoms. If you haven’t been there yet, you are missing out. Great beer selection and some great people work there. Finally, in true Pro Athlete fashion, we also make time each Holiday season to stay focused on our wellness. We all know how tough it can be. To help everyone with the Holiday health struggle, we do a yearly Team Wellness Challenge. We are right in the middle of it now, and the participation is awesome yet again this year. It’s great to have teammates to help hold you accountable for your wellness even during the Holidays. So there you have it! That’s a small glimpse behind the curtain at how we do the Holiday season at Pro Athlete. Stay tuned for next week’s blog to see one more thing we did this Holiday season. Of all the things listed above, this one is by far the coolest. It was one of the best things we have done together as a team ever!